The seventh main Resident Evil game is apparently a touchstone for the saga’s latest movie reboot. Michael Dorn still wants his Worf Star Trek show. Get another look at Bumblebee in two new clips. The plans to reboot the Resident Evil movies are taking inspiration from the latest video games in the franchise. Plus, what’s to come on Supergirl and Doctor Who. To me, my spoilers! 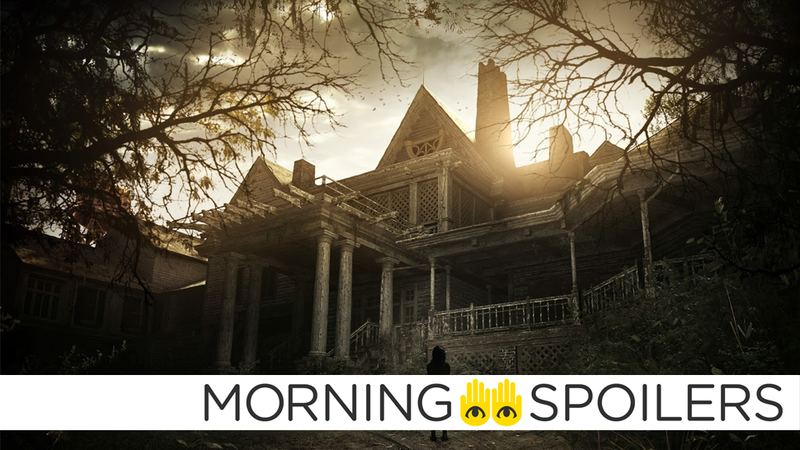 In a new interview with Discussing Film, screenwriter Greg Russo revealed that the recent and well-received Resident Evil 7 is a “touchstone” for James Wan’s upcoming reboot. It’s good. I worked on the reboot for about a year and then Producer James Wan came in, my involvement on that project has kind of concluded, so I’m not sure what they’ll really do with it, I submitted my draft to the producers and they were happy with it and ultimately they’ll do what they will with the property but I’m currently not involved with that film. Obviously I’m a huge fan of the franchise so to work on that was a lot of fun. And they’ve made six films before so when you come back to that and reboot it, you wanna do something different and not just rehash. For me it was very clear cut that I wanted to go back and make it scary again like a horror film in terms of the classic James Wan style so that was the pitch, going back and looking what made the games scary in the first place so, yeah, Resident Evil 7 was a bit of a touchstone for my draft. Bumblebee runs from John Cena, then learns to hide with Hailee Steinfeld in two new clips. An official music video has been released for “Soldier at War,” one of the film’s sterling musical numbers. Michael Dorn enthusiastically pitched a Worf spinoff series—as he is wont to do—in a recent interview with Inverse. This is, I think, perfectly timed and placed. You’re not stepping on anybody’s toes, and I always thought the Klingon Empire was a great empire to write about because it’s Shakespearean. The Klingon Empire has had to evolve and change and they don’t like that and they’re fighting it every step of the way. They’ve had to introduce aliens into their society. Just like our world now is becoming a global world where it’s not just like, ‘Oh we’re Californians and that’s all that really matters.’ We’re talking about something here and it affects China. In a new interview with Hulu Watcher, actress Angel Parker revealed Catherine and Geoffrey will be “utilizing every asset at their disposal” to bring Alex back in season two. All of the regret and conflict is gone. Now, she has one goal and that’s getting Alex back. And she’ll make that happen by any means necessary. Finally, the survivors face a new enemy when The Walking Dead returns in February.